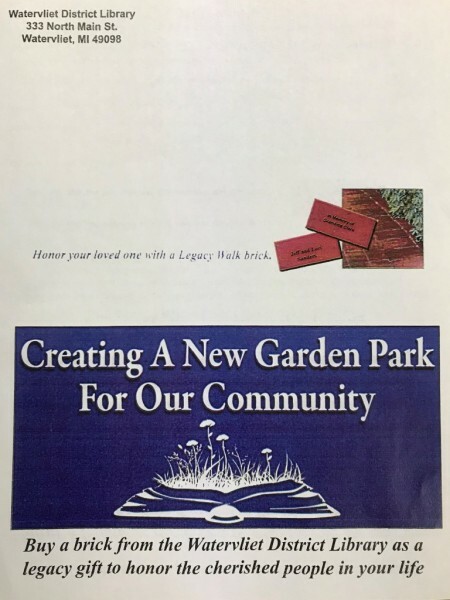 The Watervliet District Library board has worked for many years to make the park area, directly in front of the library, a place of rest and beauty. The past two years have seen this goal blossom into the peaceful spot they envisioned. Plants provide critical habitat for butterflies, the brick walk-way honors and remembers significant people in our lives and seating offers a place to read and reflect. 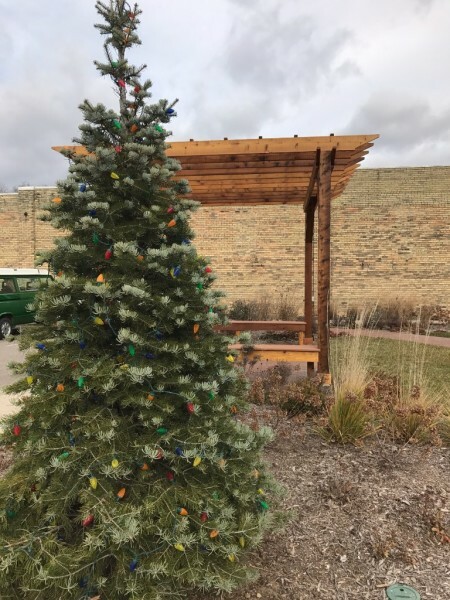 Library Garden Park has a new addition! The beautiful new pergola provides a great reflective space, any time of the year. the second phase of our garden project. Take a stroll along our walkway and visit the memories of Watervliet friends, families and industries, engraved along the bricked pathways! 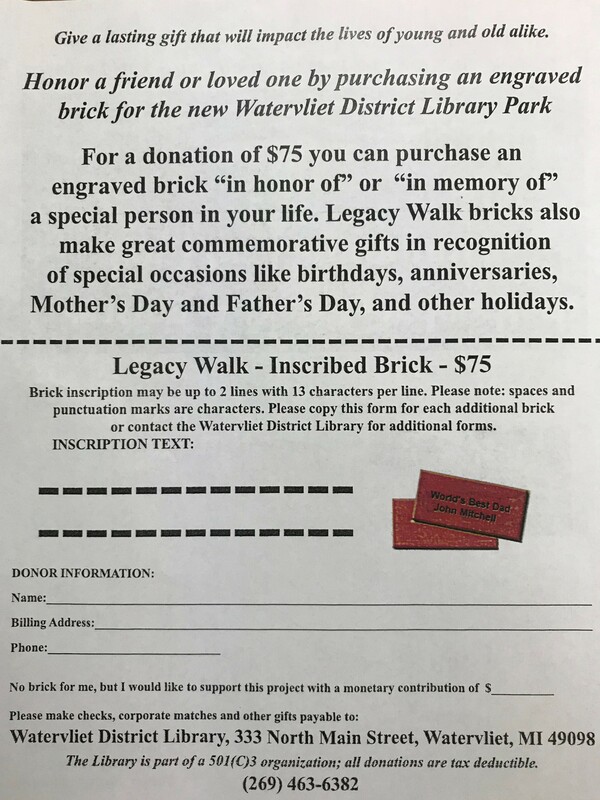 For a donation of $75 you can purchase an engraved brick "in honor of" or "in memory of" a special person in your life. Legacy walk bricks also make great commemorative gifts in recognition of special occasions like birthdays, anniversaries, Mother's Day and Father's Day, and other holidays. Contact the Watervliet District Library for forms​,​​ or see below. Download & print-out a form to mail in or drop off, along with your donation for your Legacy Walk honoree.